Frank Lankford pays close attention to everything that comes across his desk. He is a problem solver and details are key in finding the most effective and cost efficient solution. As a seasoned attorney, Frank knows the vital importance of listening to his clients. It’s a trait that comes easy for him and is apparent from the first moment a new client meets with him. And, it’s something that the long-standing clients he represents, both large and small, have come to depend on for years. Frank has been a partner with the firm for more than three decades. 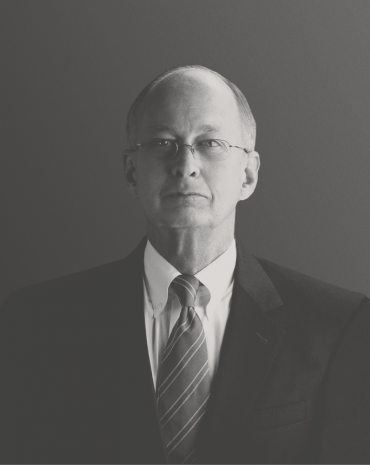 He first joined Huie in 1980 and since then has worked in every area of general defense litigation. He has built strong, long-standing relationships with companies across the country who face asbestos cases in Alabama. Many of these companies have depended on Frank as their exclusive Alabama lawyer for over 20 years. Frank’s practice is primarily devoted to toxic tort, environmental and asbestos litigation in which he serves as statewide counsel to a number of corporate clients. In addition to trial court work, he maintains an appellate practice and has handled appeals before the Alabama Supreme Court and Court of Appeals for the 11th Circuit. When Frank is not working, he enjoys the outdoors, traveling and spending time with his wife, Carolyn, and their three children. Frank earned his BA from Sewanee: The University of the South and his JD from The University of Alabama School of Law.